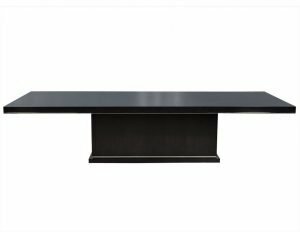 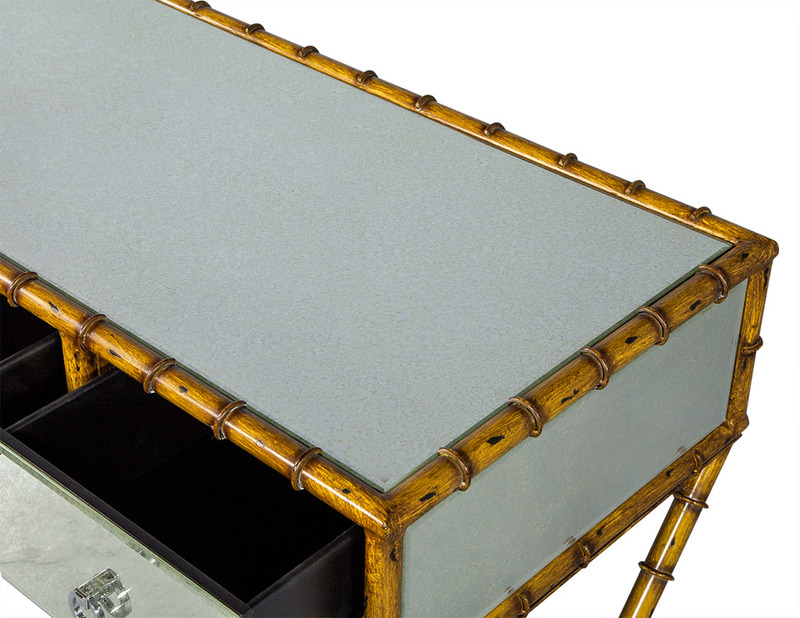 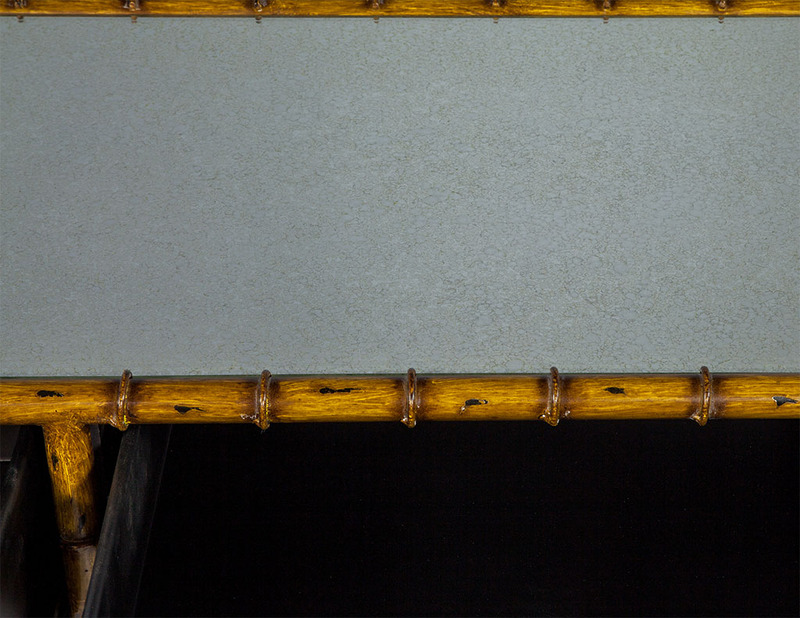 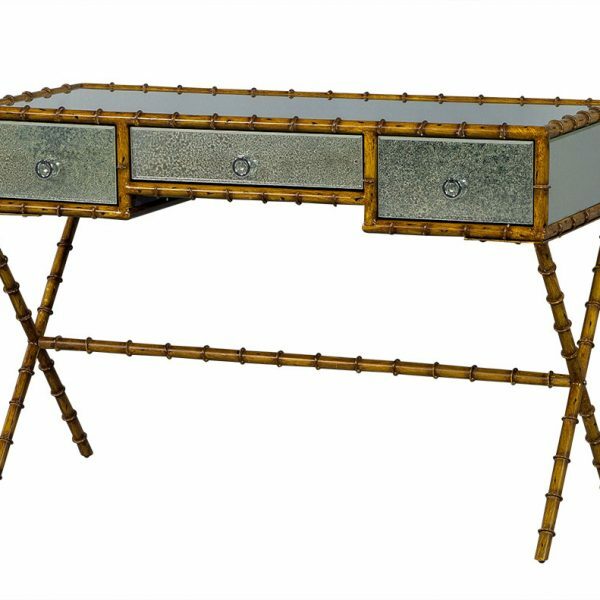 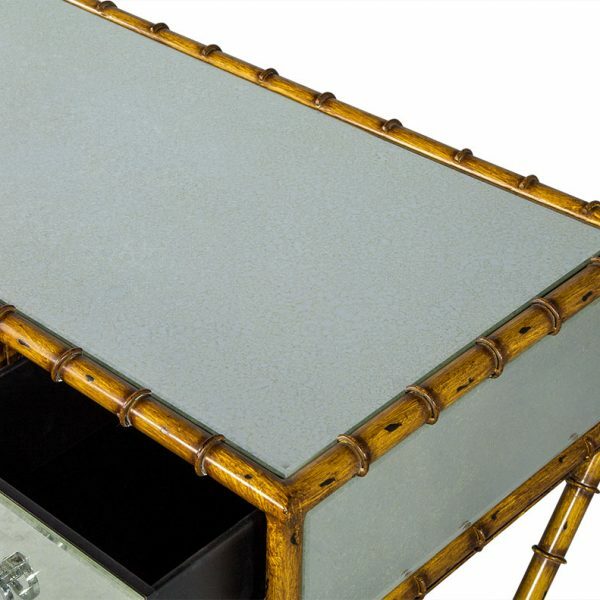 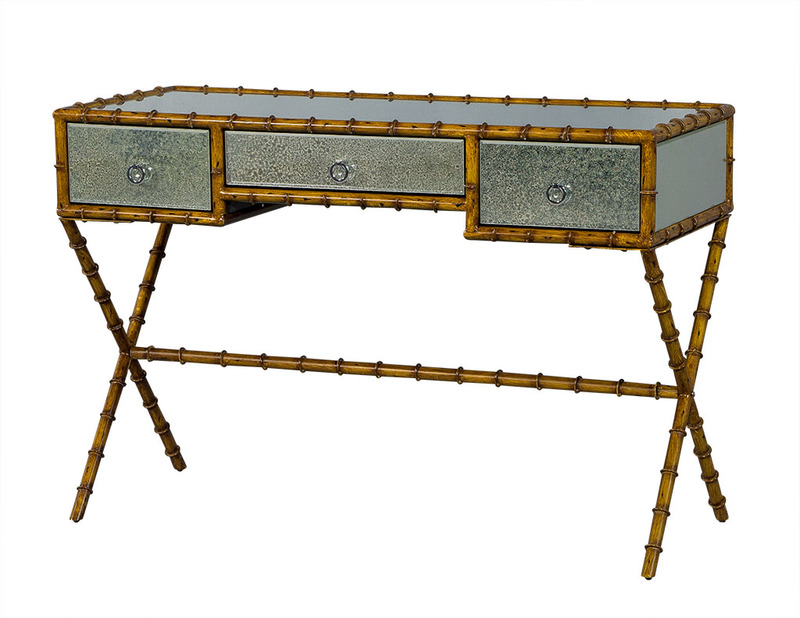 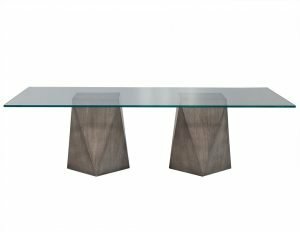 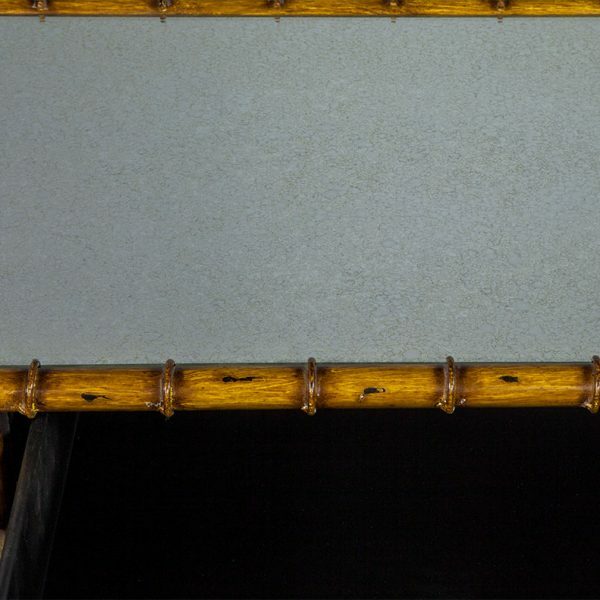 This Chinoiserie style glass console is a real statement maker. 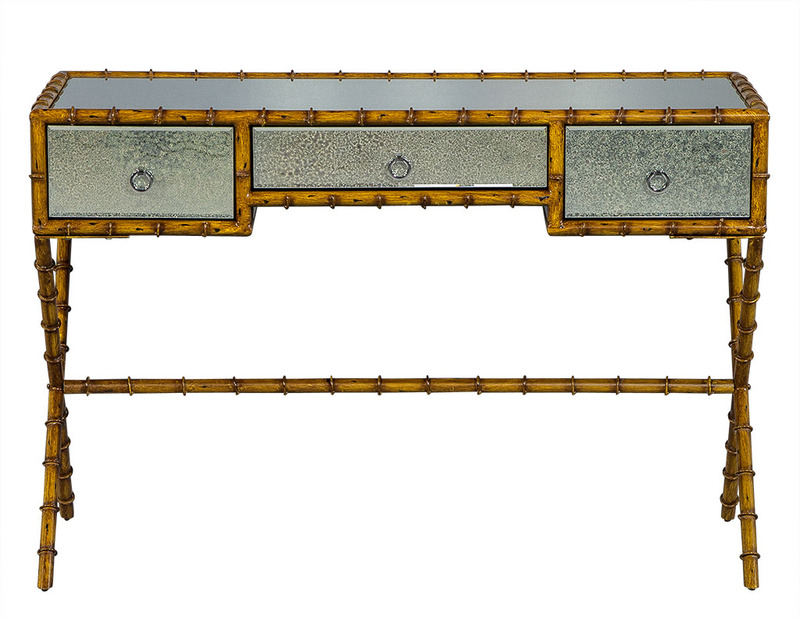 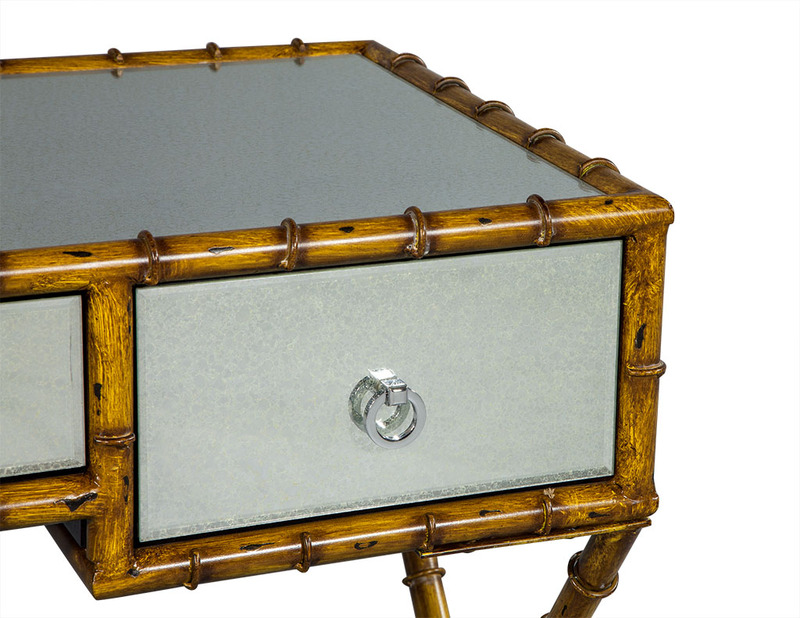 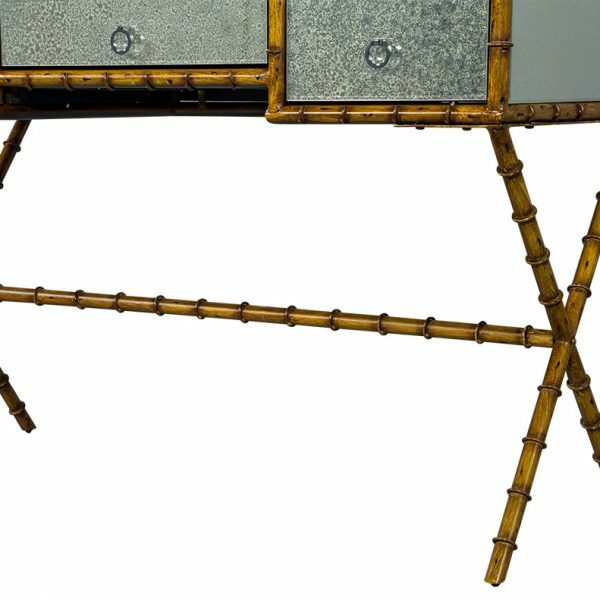 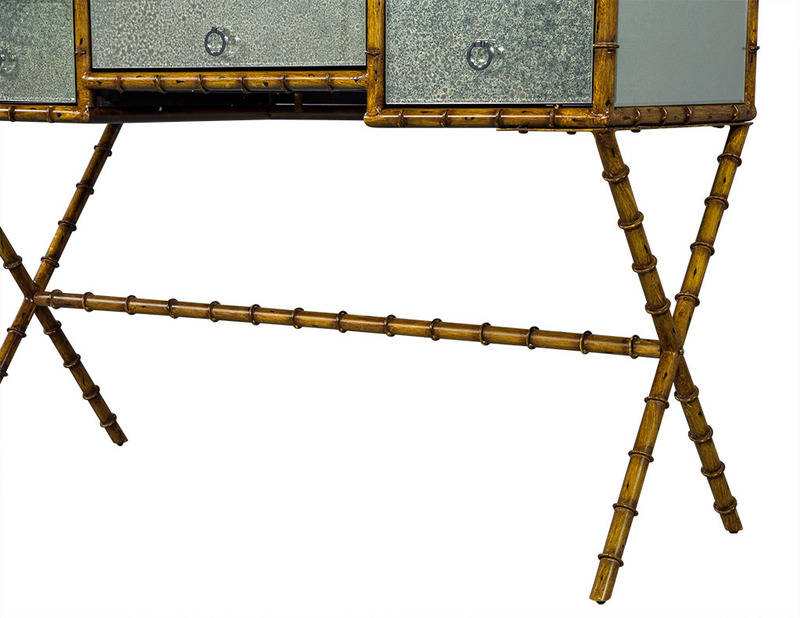 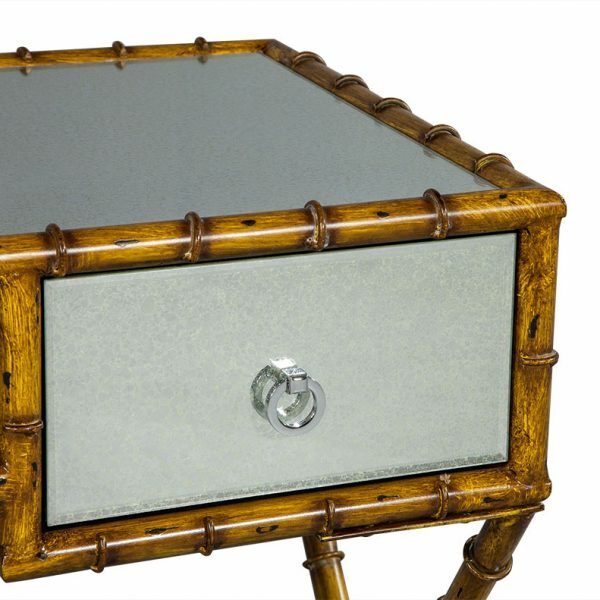 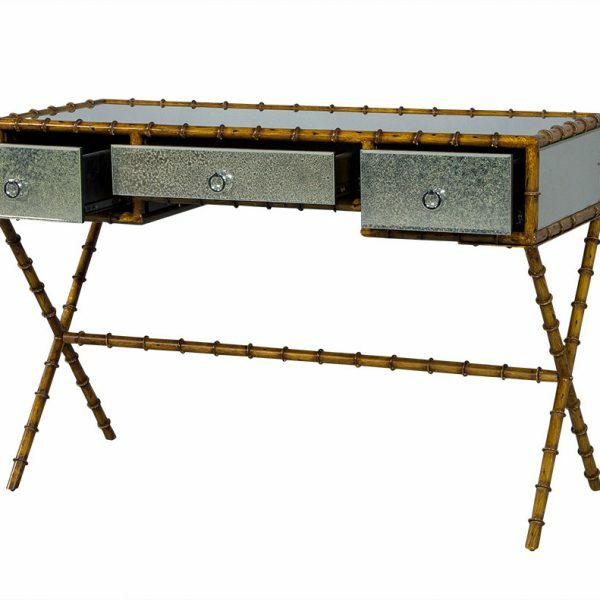 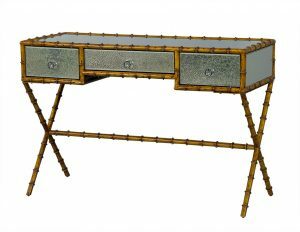 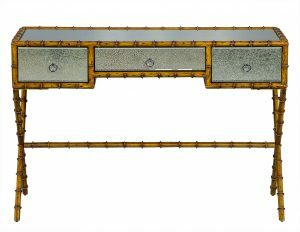 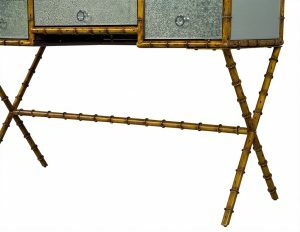 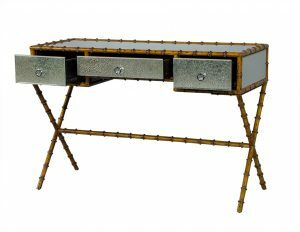 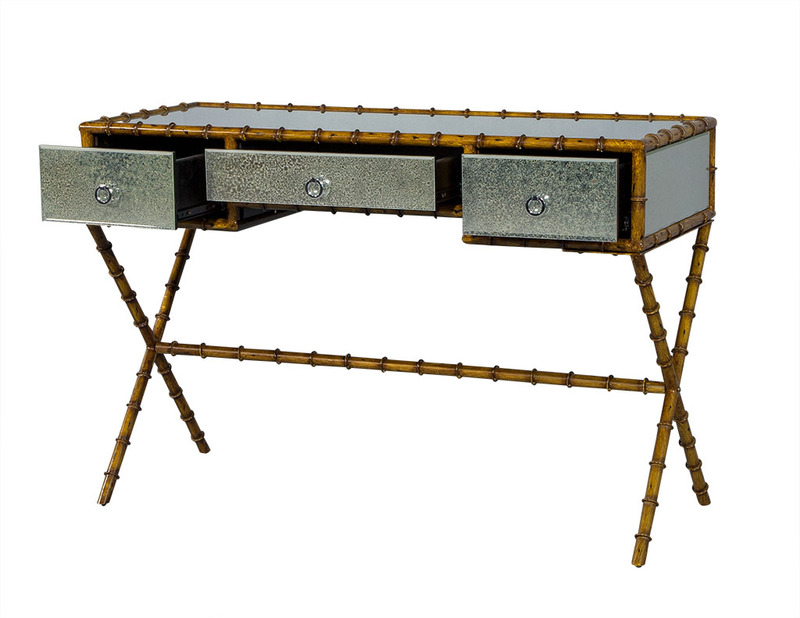 The three front-facing antique-finished mirrored glass drawers are encased in a metal faux bamboo frame accented with stainless steel pulls. 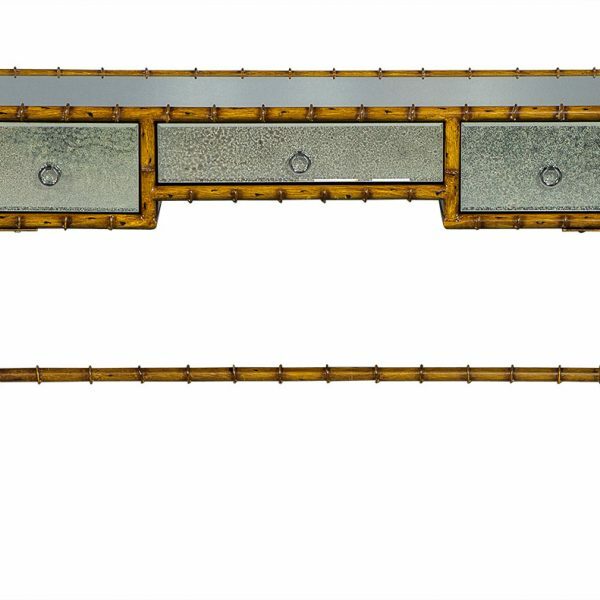 A unique and ornate piece perfect for an exceptional home.